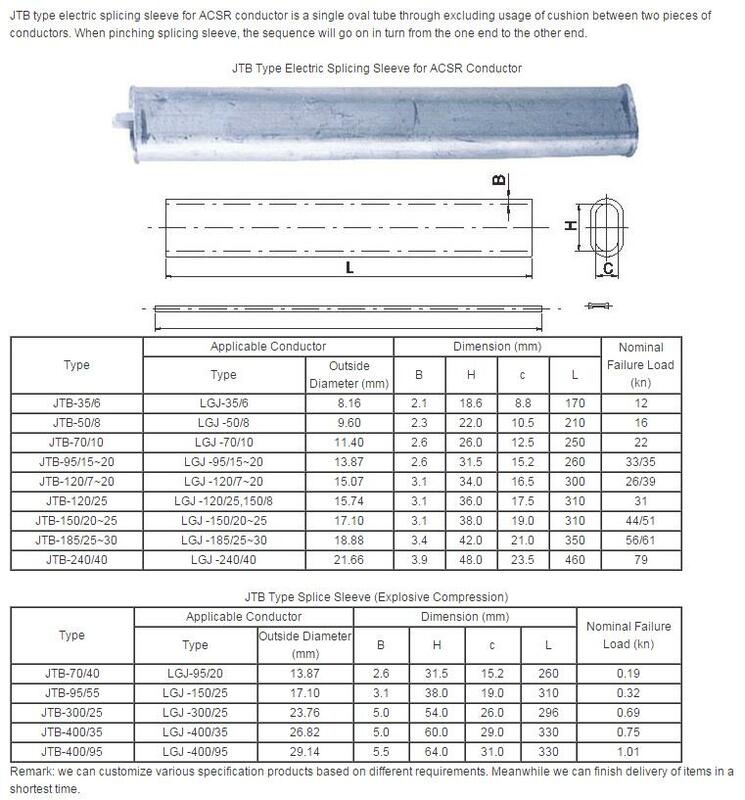 Product categories of Splicing Sleeve, we are specialized manufacturers from China, Splicing Sleeve, Splice Protection Sleeves suppliers/factory, wholesale high-quality products of Compression Splicing Sleeves R & D and manufacturing, we have the perfect after-sales service and technical support. Look forward to your cooperation! 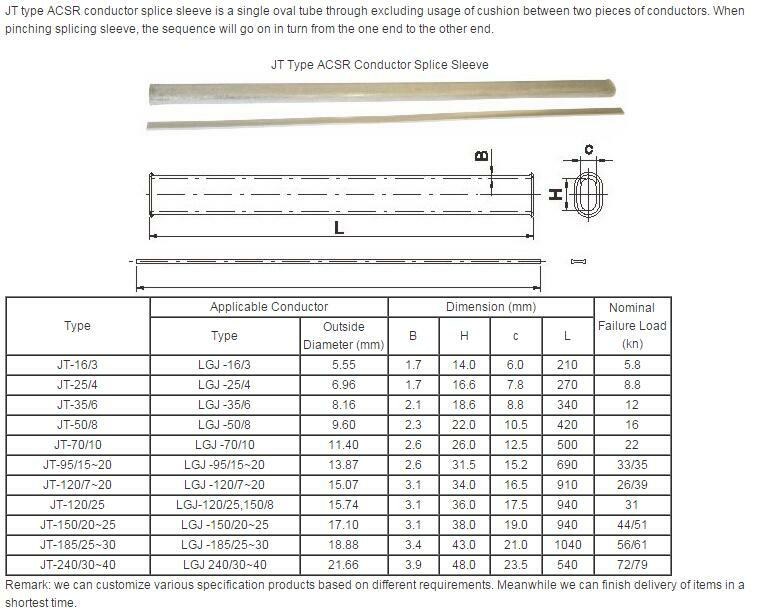 Splice Sleeves for ACSR Conductor is one kind of single oval tube through usage of cushion between two pieces of conductors on overhead transmission line. When pinching Splicing Sleeve on the conductor or lightning conductor, the sequence will go on in turn from the one end of conductor to the other end for the purpose of ensuring the normal working condition through sustaining full-tension connection on the conductor or lightning conductor.